Is your anger about to spill over into outright rage? 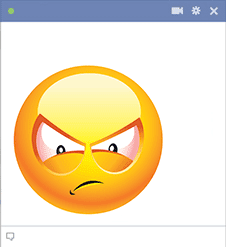 Use this smiley when you want to vent to a Facebook friend about what has you fuming. 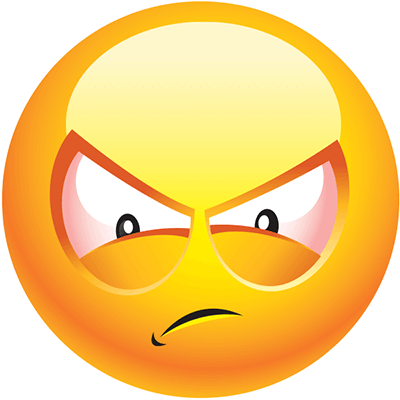 This smiley's face is touch to ignore; you can convey exactly how mad you are when you enhance your text with the perfect emoticon for the occasion.